A blend combining the sharp, zesty notes of green tea with a delicate rounded finish of black tea. 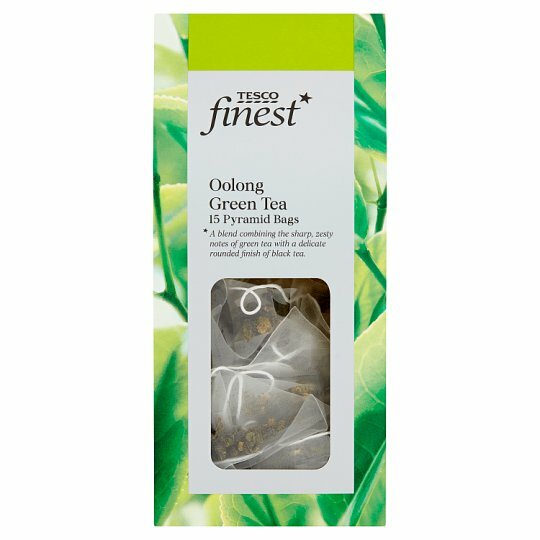 This Oolong blend combines the sharp notes of green tea with the delicate finish of black leaves. The oolong leaves are gently rolled for a crisp and floral taste. They're packed in our special biodegradable mesh pyramid bags. This means the leaves have space to move around freely in the water just like they would in a teapot so their light, delicate flavour infuses perfectly. Making your perfect cup of tea: 1. Use one bag per person per cup.2. Boil freshly drawn cold water and pour the water the moment it boils.3. Infuse for about 3 minutes according to your personal taste.4. Serve without milk.